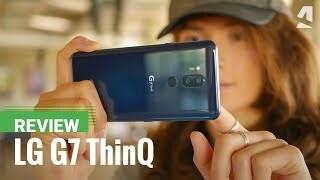 After months and months of leaks and rumors, LG has finally announced their upcoming flagship device, the LG G7 ThinQ. All the companies recently redesigned its flagship completely from scratch which seems to be the case with LG as well. 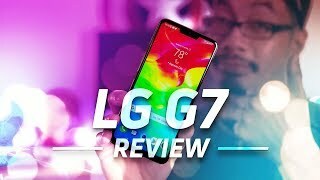 To find out what LG has in store for us and the LG G7 ThinQ Kuwait price, continue reading. 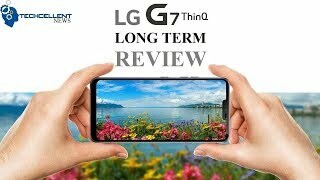 LG is taking its time before releasing the LG G7 ThinQ which is evident from the design and the LG G7 ThinQ release date Kuwait. The LG G6 did show up with less bezels but this time LG went for the ‘notch’ trend and showed up with a big 6.1-inch screen with an impressive 82.6% screen-to-body ratio, 3120 x 1440 pixels resolution, 19.5:9 aspect ratio and 564ppi of pixel density. While it does remind you of the iPhone X or some of the latest phones like OnePlus 6 or Huawei P20 Pro, it’s not necessarily a bad looking phone. However, LG is not ready to admit that it’s a notch and is promoting it as a “New Second Screen”. That part off the display can be turned off as well or make the phone show only a specific pattern or color. It’s also quite strong for a phone as the display is protected by Corning Gorilla Glass 5 and it’s both IP68 certified and MIL-STD-810G compliant. 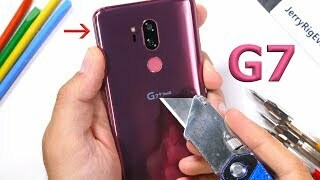 Like the Huawei P20 Pro, LG is not planning to do anything ground breaking with the LG G7 ThinQ’s camera. However, the company is focusing on the AI features and it’s clear from LG’s announcement. According to LG, the AI camera can switch to different modes depending on the subject and you will notice some changes in brightness and color filters as well. There are changes in sensors as well as the LG G7 ThinQ will be packing Sony IMX351 sensors. There are two 16-megapixel cameras on the back but one of those sensors will be paired with f/1.6 aperture while the other one gets f/1.9 aperture. Both these cameras are packing OIS but we will have to wait for the LG G7 ThinQ release date Kuwait to find out more about the camera performance. The front camera will be an 8-megapixel one with f/1.9 aperture. There is the Samsung Galaxy S9 and S9 Plus if you want to get a good camera focused phone right away. One of the disappointing parts of the LG G7 ThinQ is probably it’s battery size. Although it’s packing better specs compared to the LG G6, it will be powered by a smaller 3000mAh Li-Po battery. Only the US version will include WPC&PMA wireless charging which is also disappointing. Under the hood, it will be packing the latest Qualcomm SDM845 Snapdragon 845 octa-core processor paired with 4 or 6GB of RAM with an optional 64GB or 128GB built-in storage. Other noteworthy features include: Android 8.0 Oreo operating system, DTS-X sound, 3.5mm headphone jack, USB 3.1 port, Type-C 1.0 reversible connector, NFC, fingerprint sensor and Quick Charge 3.0 feature. There is the Xiaomi Mi Max 2 if you are in the market for a phone with big battery. LG didn’t reveal the price of this upcoming flagship yet. However, it’s expected to cost about KWD 300 if not more. 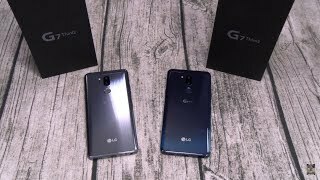 The LG G7 ThinQ release date Kuwait is expected sometimes in May or June, 2018. 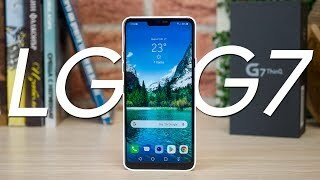 The g7 thinq Mobile Phone is manufactured by LG and was added around May 2018 and is part of the LG G7 ThinQ series. 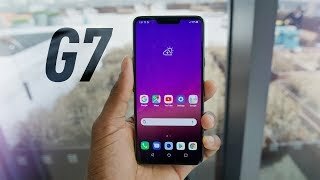 LG G7 ThinQ Review: Bright, Loud, and Smart. 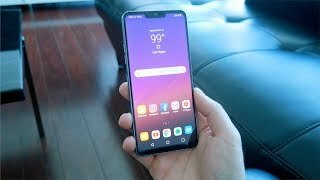 LG G7 ThinQ Long Term Review - How is it Holding Up?